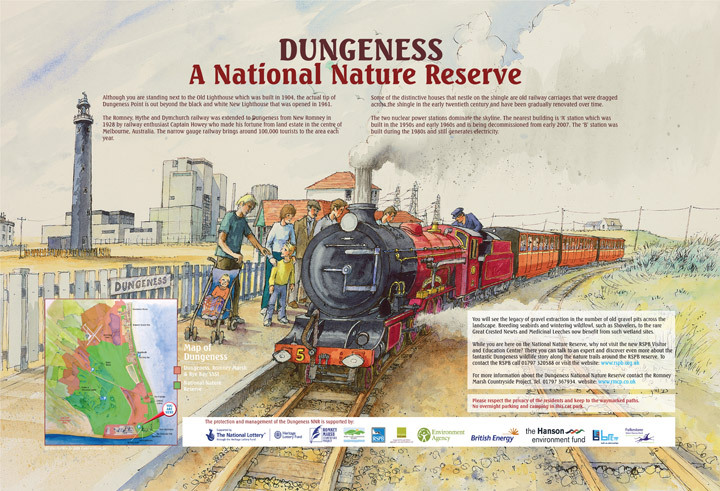 The RMCP have produced a Dungeness leaflet to inform people about this unique site. Click here to download this leaflet. 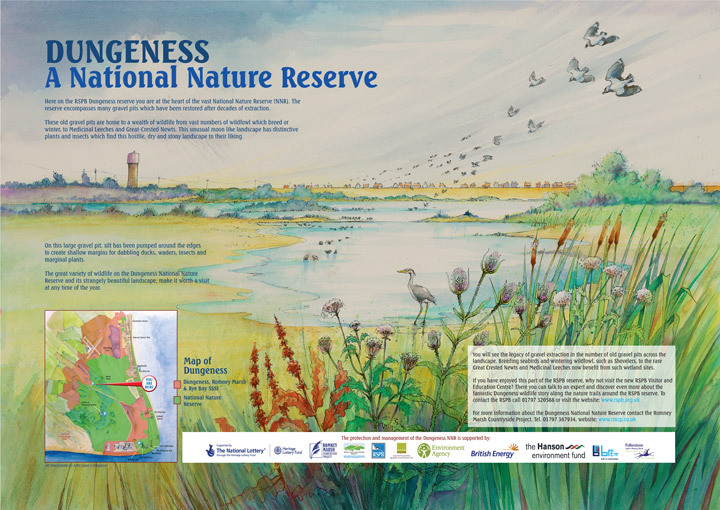 There are two walks packs, The Magic of the Marsh and The Royal Military Canal, and one cycle pack, Romney Marsh Meanders, available. 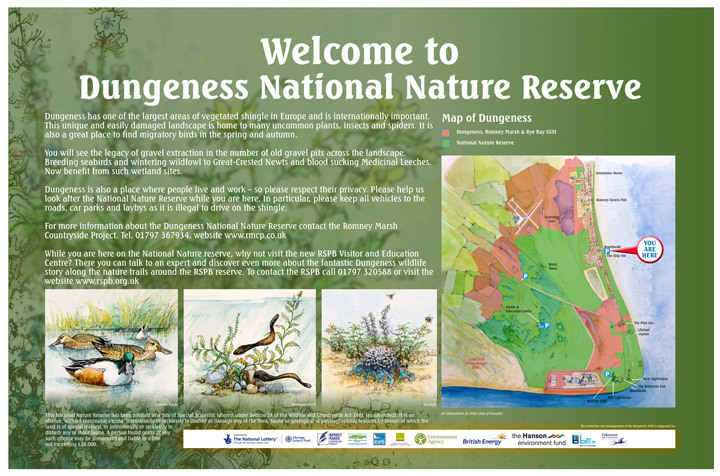 The packs include a laminated leaflet with a map and self guided route directions for each walk or cycle ride. 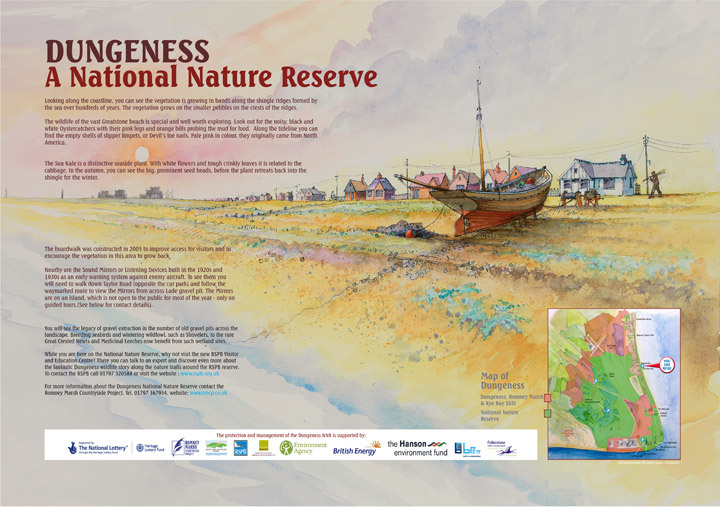 The leaflets also contain points of interest and illustrations about the history of the area. Contact the RMCP for more details. 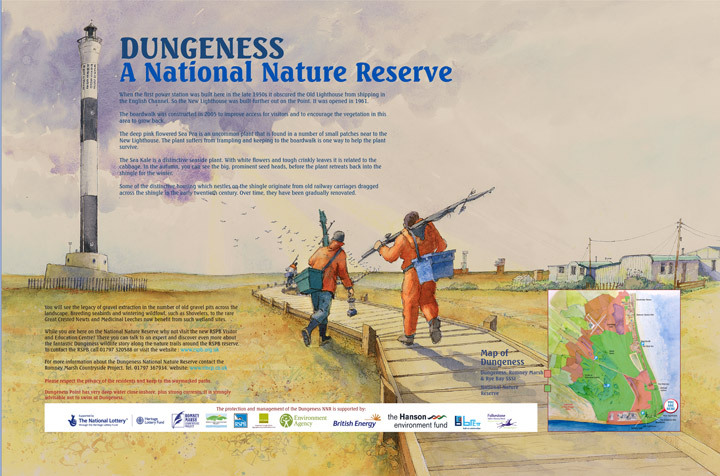 The RMCP have produced a number of interpretation panels on Dungeness NNR. Click on any of the below thumbnails to view a larger image.